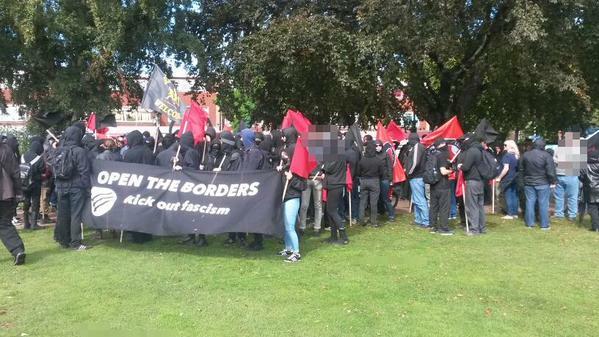 The dual mobilisations against fascists in Wakefield and Lincoln on Saturday both saw a good turn out. 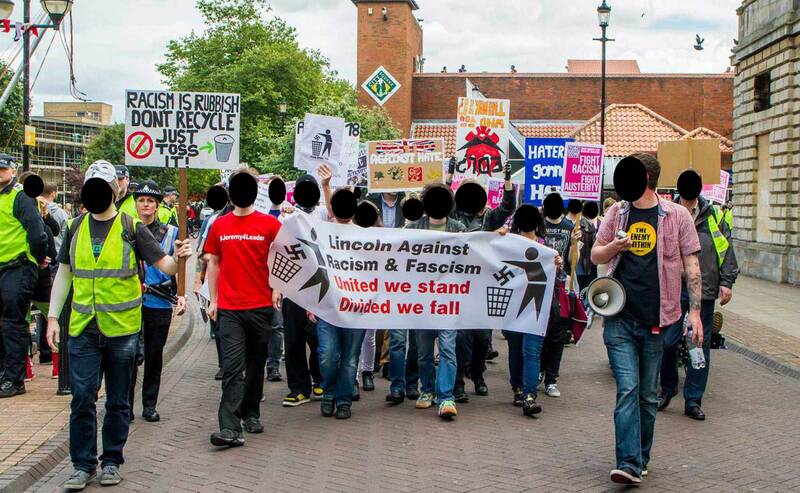 100 local anti-racists stood up against 120 EDL in Lincoln according to the local paper. 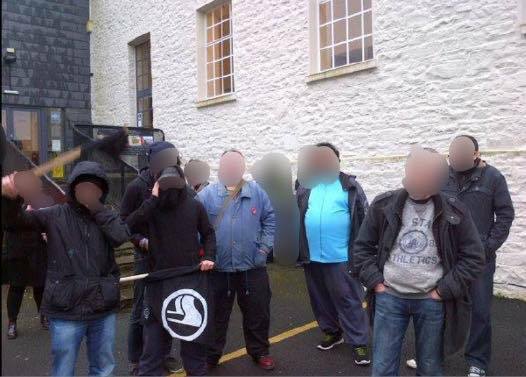 As the far-right continues to simultaneously fragment and become more dangerous and extreme, anti-fascists are increasingly facing multiple far-right marches happening at the same time. Rather than one occasional EDL demo of several hundred people we are now often seeing multiple smaller marches from across the spectrum of racist hatred, making it harder to keep tabs on them all. 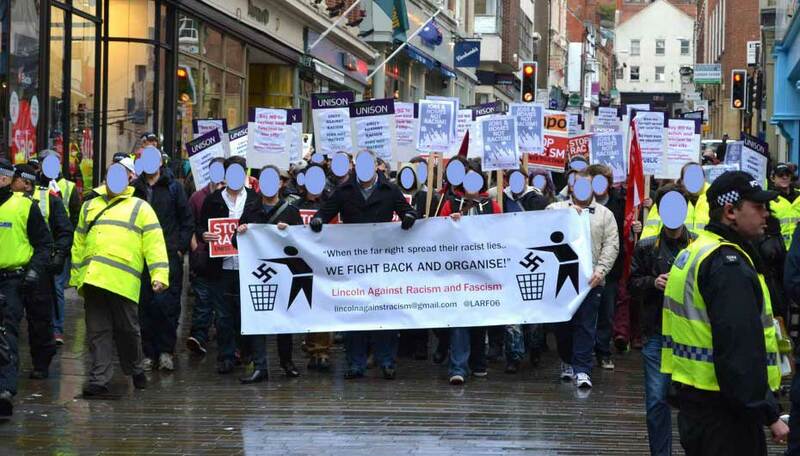 This weekend, as well as it being the international day of solidarity with anti-fascist prisoners (see our previous post), there are anti-fascist mobilisations against the EDL in Lincoln and against the Nazi National Front in Wakefield. In amongst the headline-grabbing triumphs and losses of the bigger parties in the election, another story goes rather less reported – how have the far-right and fascist parties fared? Pretty appallingly, we are pleased to report. The far right are finished as an electoral force. The election results for the BNP and others could not make this clearer. In 2010, the BNP stood and won 563,743 votes. In 2015, eight BNP candidates scraped together 1,667, in what must rank as one of the most humiliating collapses in British electoral history. Not a single one of their candidates polled over 1% of the vote. Anti-fascists should be congratulating BNP leader and Rotherham parliamentary candidate Adam Walker, who managed to reduce the BNP vote in the constituency from 3,906 in 2010 to 225 in 2015, on the way he has run the party’s election campaign. 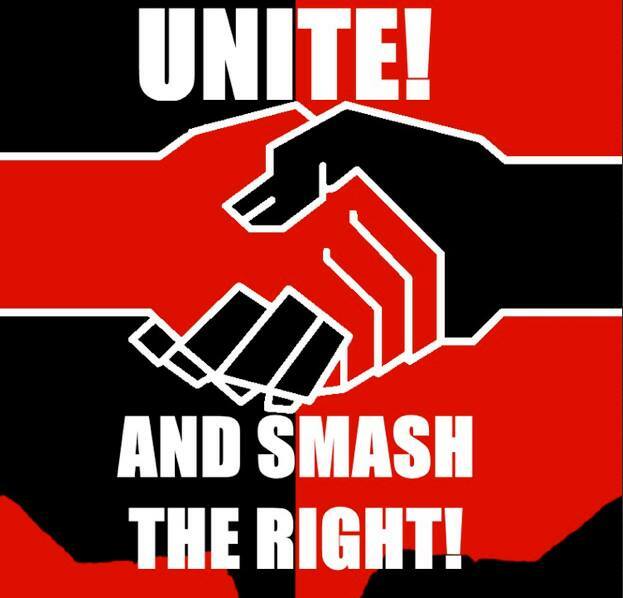 Regardless of the results, next week’s general and local elections are already good news for anti-fascists. The far-right has collapsed electorally and is not mounting a serious challenge in any constituency in the UK. This is a very different from 2010, when the BNP stood 338 parliamentary candidates. This time round they are standing 8. 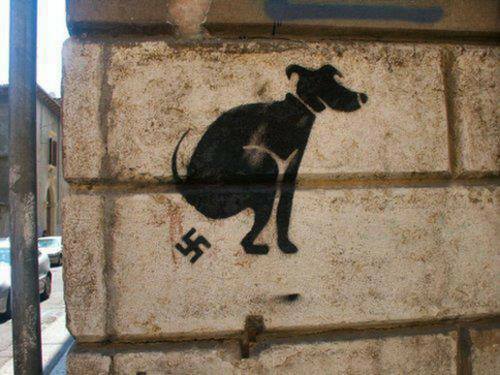 Despite an influx of former BNP members to other far-right groups, notably the English Democrats, other fascist groups have not been able to pick up the slack. Electorally, the far-right is at its lowest ebb for a generation, although this is partly because the vote won by groups like the BNP has swung toward UKIP. 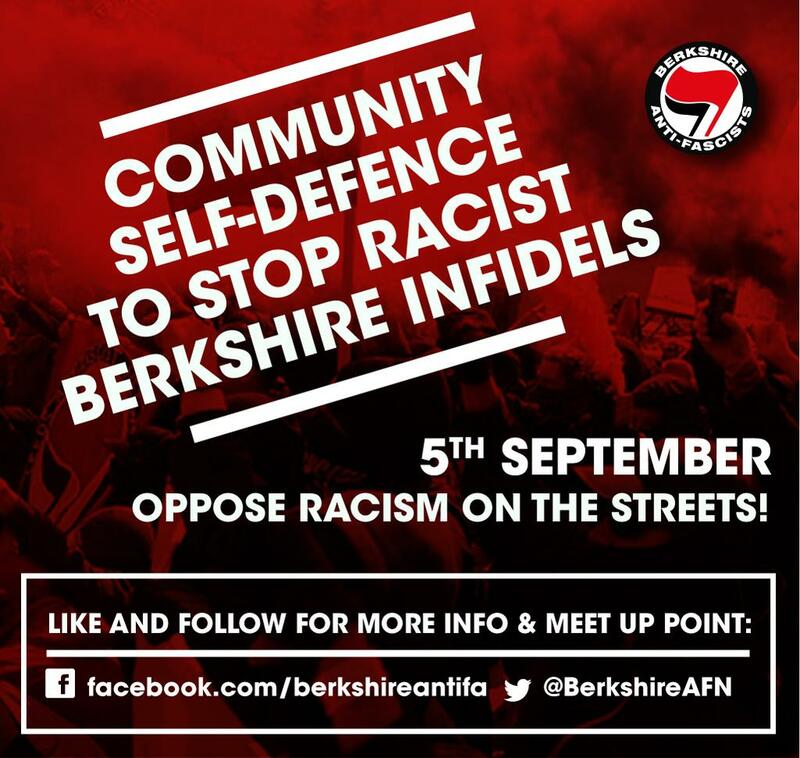 We hate to kick a man when he’s down, but this represents a golden opportunity for anti-fascists to push these racist groups out of the political arena completely.